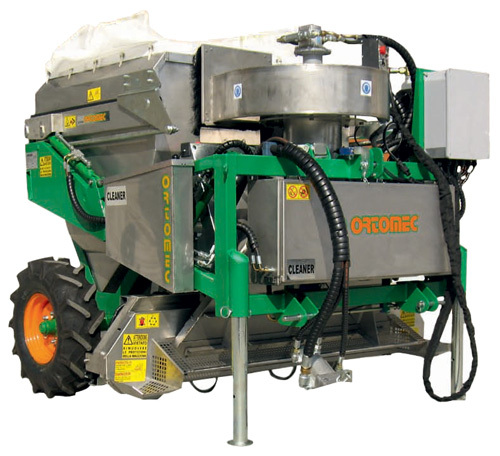 The Ortomec Cleaner is an innovative machine that can perform several functions. In crops that are grown to be harvested twice, the Cleaner's vacuum function can remove decaying leaves, insects, and other lightweight field trash remaining after the first harvest. Any uncut product missed during the first harvest can also be cut and removed with the Cleaner, ensuring a more uniformly grown crop for the second harvest. Crops that are not feasible to harvest due to weather damage, lack of market demand, etc., still need to be removed from the field. Normally, fully grown unharvested crops are cut down with mower-type machines that can damage the crop, and can leave behind a field that needs to be cleaned with separate equipment. 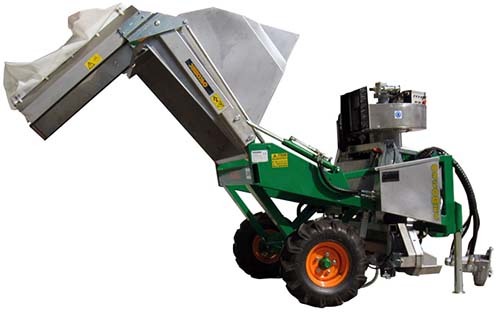 A single operator can employ the Cleaner to cut, vacuum, and dump product in a single pass. This not only cleans trash out of the field, but leaves the field ready to grow for a possible future harvest. Click here to see the Cleaner in action. 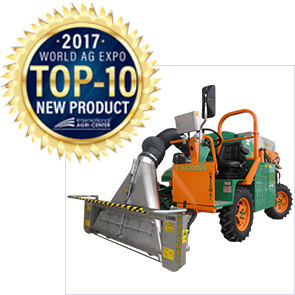 The diesel powered, self-propelled, Top-10 New Product winning Cleaner 2 is now available. 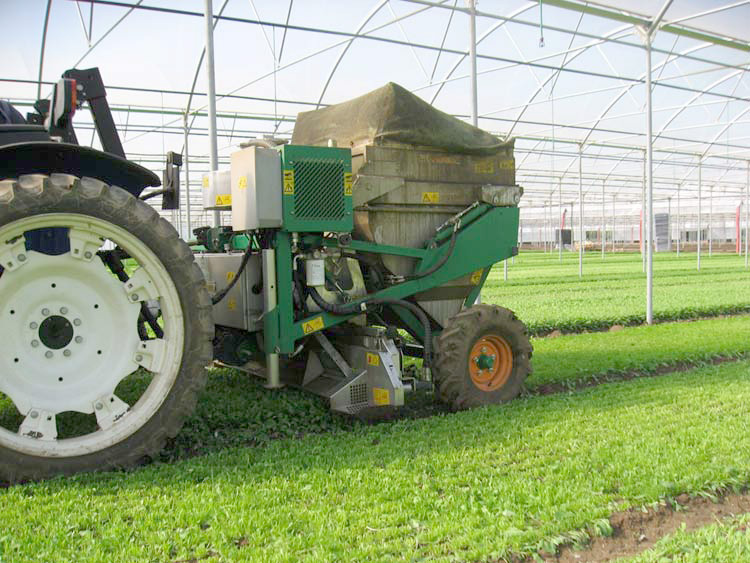 The original pull-type Cleaner is suitable for use in greenhouses or open field.